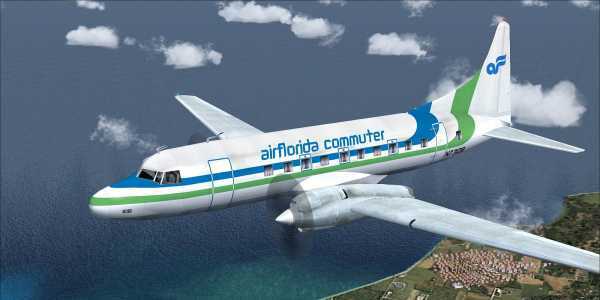 Welcome to Perfect Flight » Search results for "Jaap de Baare"
FS2004 – Rio de la Plata 1961 Scenery. We proudly present part 1 of the Rio de la Plata scenery with the main airport of Buenos Aires (Ezeiza – SAEZ) as it was around 1961. We also modified the environment. We have produced this scenery to provide taxiways and details as they were around this period. 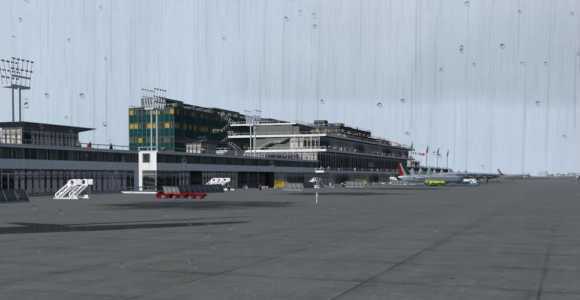 We have also included new parkings to allow the AI aircraft to taxi correctly at the new (old!) airport. Although we did not always have enough photos and information we tried to come as close as possible. Our goal was to reflect something of the atmosphere and feel of that period, prior to the all-jet era of today. FSX/P3Dv3 – Consolidated C-87 Liberator Express. The Consolidated C-87 Liberator Express was a transport derivative of the B-24 Liberator heavy bomber built during World War II for the United States Army Air Forces. A total of 287 C-87s were built alongside the B-24 at the Consolidated Aircraft plant in Fort Worth, Texas. This is an FSX update for the FS2002/2004 Alphasim model and now features a new enhanced virtual cockpit with all new gauges compatible for FSX. In addition, the textures had to be partly modified to be recognized by FSX, some parts of them were not visible. The 2D panel features animated yoke and throttle panel. Smoke effect has been added as well. The package includes five liveries by different authors. Thanks to Phil Perrott for the original model, to Jim Nelson and Jaap de Baare for their previous FS2004 updates and additional Brit Liveries as well as to Glenn Duncan for the Corsair texture, which had to be modified to conform to this vc model. FS2004 – Lockheed L-10A LAV. This is a repaint of the Lockheed L-10A Electra in LAV (Linea Aeropostal Venezolana) livery. It is showing the plain color scheme of the airline as it flew in Venezuela in the late 1930’s. FSX – 1960 LFMN Nice Airport Scenery. Nice Côte d’Azur Airport is an airport located 3.2 NM southwest of Nice, in the Alpes-Maritimes department of France. The airport is positioned 7 km west of the city centre, and is the principal port of arrival for passengers to the Côte d’Azur. It is located on the western end of the Promenade des Anglais, near l’Arénas . Due to its proximity to the Principality of Monaco, it also serves as the city-state’s airport. Some airlines marketed Monaco as a destination via Nice Airport. Scenery by Harry Biard, Johan Dees, Jaap de Baare, Wolfgang Gersch, Nikko Yaginuma and Tom Gibson. 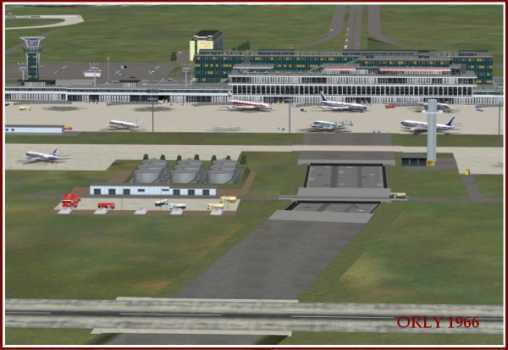 FSX – Scenery Paris Orly Airport (LFPO) France. This is Paris Orly Airport,the second airport of France. Originaly made for FS2004 by Harry Biard, Nikko Yaginuma, Jaap De Baare, Wolfgang Gersch, Tom Gibson And Bernard Leuenberger. 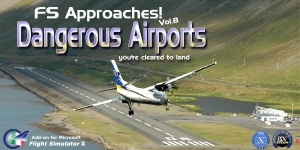 I addapted it with ADE to FSX with additional buildings to update the airport.